Olena is a 15-year-old girl who lives in Ukraine. On Mar. 12, she set the national record for the longest hair on a child. How long do you think her hair is? 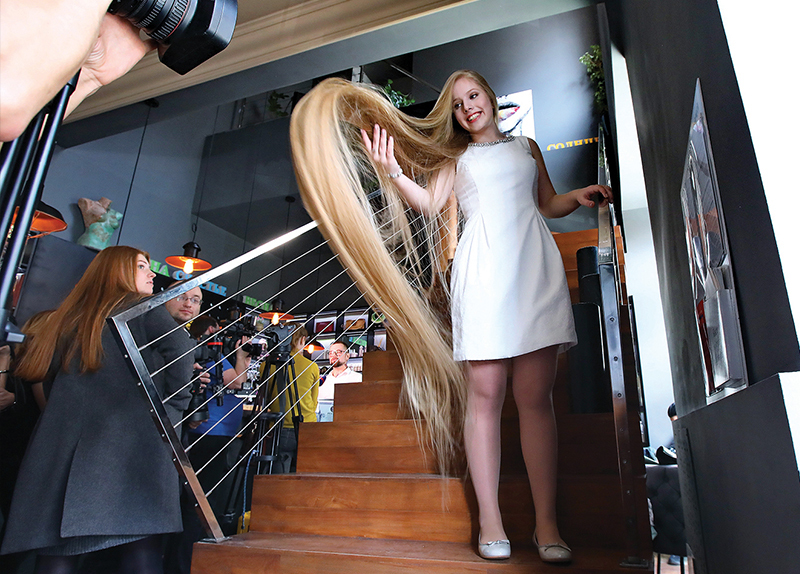 Olena’s hair is more than 2 m long! Jenny is a mare. She lives in Frankfurt, Germany. 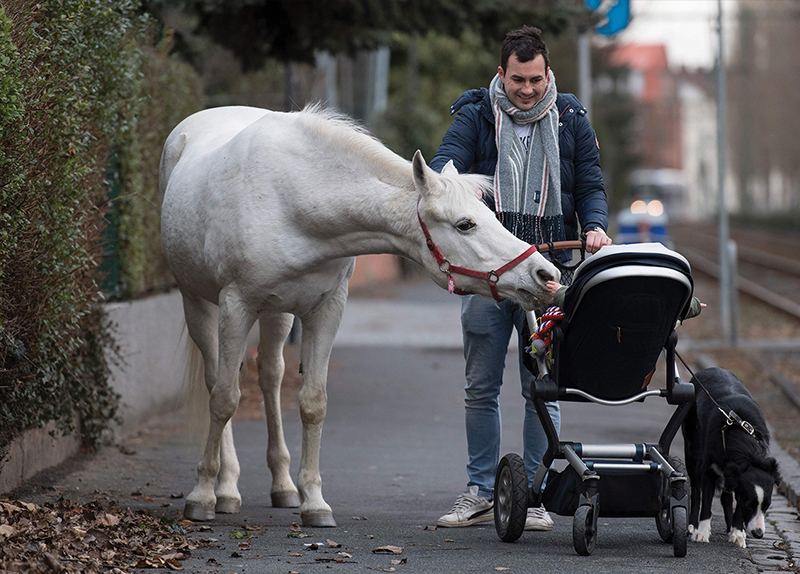 Every day, her owner lets her out of her stable to go out for a walk. In this photo, she is curiously sniffing a stranger’s baby. 1. How long is Olena's hair?